The Greek Orthodox Patriarchate of Alexandria and all Africa (Ancient Greek: Πατριαρχεῖον Ἀλεξανδρείας καὶ πάσης Ἀφρικῆς, translit. Patriarcheîon Alexandreías kaì pásēs Aphrikês, lit. 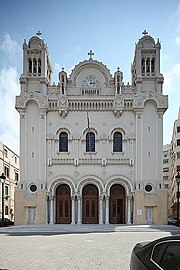 'The Patriarchate of Alexandria and all Africa'), also known as the Greek Orthodox Church of Alexandria, is an autocephalous patriarchate that is part of the Eastern Orthodox Church. Its seat is in Alexandria and it has canonical responsibility for the entire African continent. It is commonly called the Greek or Eastern Orthodox Patriarchate of Alexandria to distinguish it from the Coptic Orthodox Patriarchate of Alexandria, which is part of Oriental Orthodoxy. Members of the Greek Orthodox Patriarchate were once referred to as "Melkites" by non-Chalcedonian Christians because they remained in communion with the Ecumenical Patriarchate of Constantinople after the schism that followed the Council of Chalcedon in 451. 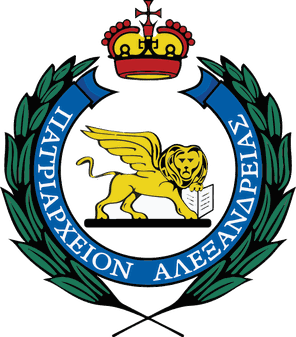 Mark the Evangelist is considered the founder of the See, and the Patriarchate's emblem is the Lion of Saint Mark. The head bishop of the Patriarchate of Alexandria is the Pope and Patriarch of Alexandria and all Africa, currently Theodore II of Alexandria. His full title is "His Most Divine Beatitude the Pope and Patriarch of the Great City of Alexandria, Libya, Pentapolis, Ethiopia, all the land of Egypt, and all Africa, Father of Fathers, Shepherd of Shepherds, Prelate of Prelates, thirteenth of the Apostles, and Judge of the Œcumene". Like the Coptic Orthodox Pope of Alexandria and the Coptic Catholic Patriarch of Alexandria, he claims to have succeeded the Apostle Mark the Evangelist in the office of Bishop of Alexandria, who founded the Church in the 1st century, and therefore marked the beginning of Christianity in Africa. It is one of the five ancient patriarchates of the early church, called the Pentarchy. The seat of the Patriarchate is the Cathedral of the Annunciation, also known as the Cathedral of Evangelismos, in Alexandria. The history of the Patriarchate of Alexandria includes some of the greatest and most renowned fathers of the Church, especially the histories of Athanasius and Cyril, who were Patriarchs of Alexandria at the ecumenical councils of Nicaea and Ephesus respectively. In the schism that was created by the political and Christological controversies at the Council of Chalcedon in 451, the Church of Alexandria split in two. The majority of the native (i.e., Coptic) population did not accede to the Council of Chalcedon, adhering instead to the Miaphysite Christology of the Oriental Orthodox communion, and became known as the Coptic Orthodox Church of Alexandria. A small portion of the Church of Alexandria followed Chalcedonian Christology, and this became known as the Greek Orthodox Church of Alexandria, since it used Greek as its liturgical language. Politically, the Greek Orthodox believers were loyal to the Eastern Roman emperor. They remained in communion with the Ecumenical Patriarchate of Constantinople. After the Arab conquest of North Africa in the 7th century - which permanently separated the region from the Byzantine Empire - the Greek Orthodox became an isolated minority in the region, even among Christians, and the church has remained small for centuries. In the 19th century Orthodoxy in Africa began to grow again. One thing that changed this in the 19th century was the Orthodox diaspora. People from Greece, Syria and Lebanon, in particular, went to different parts of Africa, and some established Orthodox Churches. Many Greeks also settled in Alexandria from the 1840s and Orthodoxy began to flourish there again, and schools and printing presses were established. For a while there was some confusion, especially outside Egypt. As happened in other places, Orthodox immigrants would establish an ethnic "community", which would try to provide a church, school, sporting and cultural associations. They would try to get a priest for the community in the place they had emigrated from, and there was some confusion about which bishops were responsible for these priests. 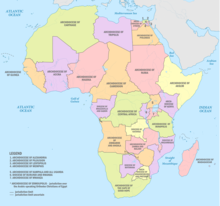 Eventually, in the 1920s it was agreed that all Orthodox churches in Africa would be under the jurisdiction of the Patriarchate of Alexandria, and so Africa has managed to avoid the jurisdictional confusion that has prevailed in places like America and Australia. In Africa south of the Sahara most of the growth in Christianity began as a result of mission initiatives by Western Christians; Roman Catholic, Protestant and especially in the 20th century adherents to Western-origin Christian bodies that do not fit into this old dichotomy. These Western-initiated churches were, however, very often tied to Western culture. The Greek missions to African outposts followed Greek-speaking settlers, as with the missions to America and Australia, and still provide cultural links to Greece and the Greek patriarchy in Egypt. African-initiated churches interested in the various forms of Orthodoxy, but finding it difficult to make contact with historic Orthodoxy in the parts of Africa where they lived sought further afield. In the 1920s some of them made contact with the so-called African Orthodox Church in the USA (not a part of the canonical community of Eastern Orthodox Churches), notably Daniel William Alexander in South Africa, and Ruben Spartas Mukasa in Uganda. In the 1930s, Daniel William Alexander visited first Uganda, and later Kenya. Spartas, however, also made contact with Fr Nikodemos Sarikas, a missionary priest in Tanganyika, and through him made contact with the Greek Patriarch of Alexandria. In 1946 the African Orthodox groups in Kenya and Uganda were received into the Greek Orthodox Patriarchate of Alexandria. In the 1950s, however, the Orthodox Church in Kenya suffered severe oppression at the hands of the British colonial authorities during the Mau Mau Uprising. Most of the clergy were put in concentration camps, and churches and schools were closed. Only the Cathedral in Nairobi (which had a largely Greek membership) remained open. Archbishop Makarios III of Cyprus preached an anti-colonialist sermon at the cathedral on his way home from exile, and this led to friendship between him and the leader of the anti-colonial struggle in Kenya, Jomo Kenyatta. After Kenya became independent in 1963 the situation eased, and the Greek-speaking Church of Cyprus helped to get the presence of the Greek Orthodox Church in Kenya once more, building a seminary and sending missionary teachers. In recent years, a considerable missionary effort was enacted by Pope Petros VII. During his seven years as patriarch (1997–2004), he worked tirelessly to spread the Orthodox Christian faith in Arab nations and throughout Africa, raising up native clergy and encouraging the use of local languages in the liturgical life of the Church. Particularly sensitive to the nature of Christian expansion into Muslim countries, he worked to promote mutual understanding and respect between Orthodox Christians and Muslims. He also worked to improve ecumenical relations with the Coptic Orthodox Church, signing a joint declaration allowing intermarriage and setting the stage for improved relations between the two ancient patriarchates. His efforts were ended as the result of a helicopter crash on September 11, 2004, in the Aegean Sea near Greece, killing him and several other clergy, including Bishop Nectarios of Madagascar, another bishop with a profound missionary vision. The metropolitans and bishops of this expanding church remain overwhelmingly of Greek or Cypriot origin. Today, some 300,000 Eastern Orthodox Christians constitute the Patriarchate of Alexandria in Egypt, the highest number since the Roman Empire. 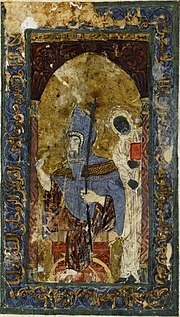 The current primate of the Greek Church of Alexandria is Theodoros II, Pope and Patriarch of Alexandria and all Africa. The institution of the Offikialoi has its roots in the Hierarchy of the Byzantine Empire and primarily came into the ecclesiastical world around the 9th Century, beginning with the Ecumenical patriarchate in Constantinople, where the offices existed hierarchically in three pentads. There are ecclesiastical offices, both for the clergy as well as for lay people. However, the offices for lay people acquired greater validity and dissemination during the Ottoman period whence they were gradually disseminated to the other ancient Patriarchates of the East. The offices are awarded by “patriarchal esteem and intention” as a recompense to the Patriarchate of Alexandria and all Africa, while in earlier years they were connected to particular positions within the patriarchal court and the administrative mechanism of the Patriarchate, which over the years slackened. Patriarch Theodore II(Choreftakis), Pope and Patriarch of the Holy Archdiocese of Alexandria in Egypt, Primate of the Greek Orthodox Patriarchate of Alexandria and All Africa. Metropolitan Alexander (Gianniris) of the Holy Archdiocese of Nigeria with jurisdiction over Nigeria, Niger, Benin and Togo. Wikimedia Commons has media related to Greek Orthodox Patriarchate of Alexandria. Ostrogorsky, George (1956). History of the Byzantine State. Oxford: Basil Blackwell. Meyendorff, John (1989). Imperial unity and Christian divisions: The Church 450-680 A.D. The Church in history. 2. Crestwood, NY: St. Vladimir's Seminary Press. ISBN 978-0-88-141056-3. Kiminas, Demetrius (2009). The Ecumenical Patriarchate: A History of Its Metropolitanates with Annotated Hierarch Catalogs. Wildside Press LLC. Hayes, Stephen (November 1996). "Orthodox mission in tropical Africa". Missionalia. 24 (3): 383–398.